It seems 18+ parties by some of our favourite educational attractions are all the rage right now. 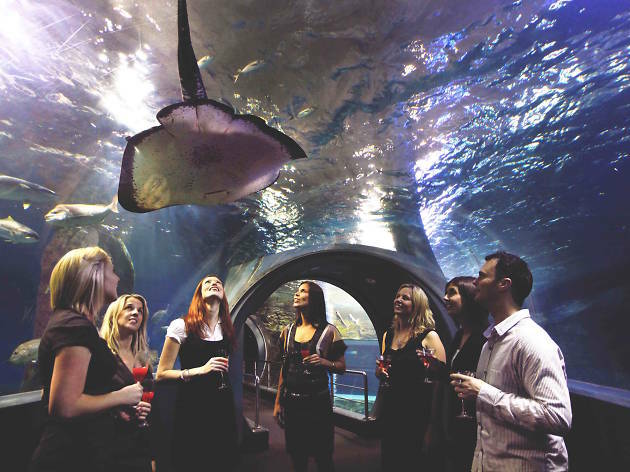 Case in point: Melbourne’s Sea Life Aquarium is throwing adults-only parties after dark this year. Intrigued? The event will be taking place on selected Friday evenings with punters able to go on an after-hours marine adventure with all the weird and wonderful animals that the aquarium has to offer. But let's not be koi – the best part is you'll be able to do it all with a glass of wine in your hand. 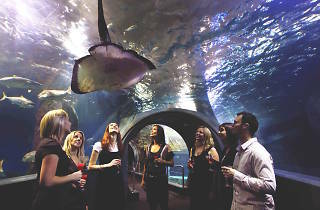 For $59 per person, you'll score entry to Sea Life Nights, as well as a cocktail and canapé on arrival. There will be a cash bar offering red, white and sparkling wine, beer, soft drinks, juice and mineral water. More food will be available for purchase, including buttermilk chicken fillet burgers, wagyu beef cheeseburgers and tempura cauliflower tacos. Additional entertainment comes by way of a live band who will be playing tunes well into the night.